Dr. Bernstein is a 1995 graduate of Brown University Medical School. After finishing his Orthopaedic residency at the University of Maryland Shock Trauma Center, he completed an Orthopaedic sports medicine fellowship at Washington University where he was assistant team physician for the St. Louis Rams, Blues, and Cardinals. He maintains his affiliation with the St. Louis Cardinals and travels to Jupiter, Florida to provide medical coverage for the team during spring training. 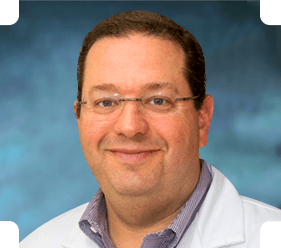 Dr. Bernstein came out of his fellowship in 2001 and practiced for three years in Silver Spring, Maryland. He moved to Chevy Chase to join Summit Orthopedics in August, 2004. Dr. Bernstein practices general orthopedic surgery with a focus on sports related injury. He specializes in arthroscopic surgery involving the knee, shoulder, and ankle. He has particular interest in shoulder instability, anterior cruciate ligament reconstruction, cartilage injury, patellar instability, and meniscal repair. Dr. Bernstein was born in St. Louis. Missouri. He currently resides in Chevy Chase, Maryland with his wife Carolyn and their three sons, Henry, Jack, and Will. In his spare time he enjoys playing squash and golf.